Many people are looking for the sense in their lives. 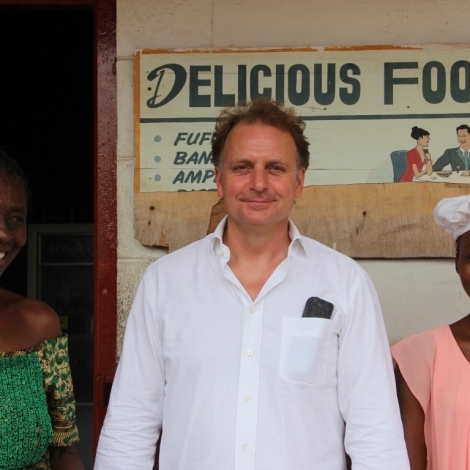 Mark Ankerstein decided to add more value to what he was doing by changing his profession and starting over in an NGO. 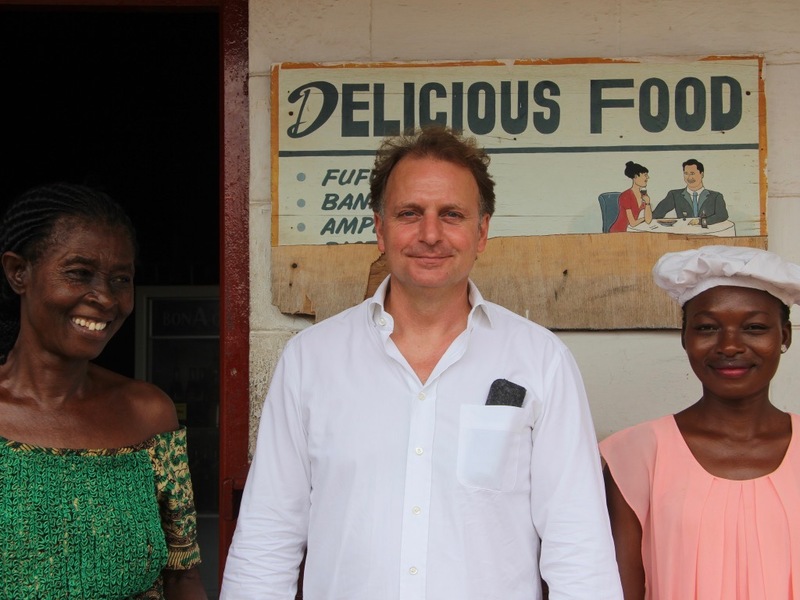 As CEO of Opportunity International Deutschland he manages an NGO that helps to build a stable environment for motivated but less well-off people in developing countries by creating jobs and an income. Read about Mark’s motivation and journey and the work of Opportunity International Deutschland in the interview by Tom from Superior Magazine. Mark, you have a very successful career in advertising business. Now you are CEO of the NGO Opportunity International Deutschland. What’s the reason for this profession-change? I had a wonderful time working in the advertising industry, but in my mid-forties I was looking for a - some would say “sense” - I would call it “added value” in my life. I thought it must be possible to have a career and doing “something good”. This desired combination was the incentive for looking for a profession-change and I stared my journey. That journey brought me to an NGO, working as the head of marketing-communication and from there to being the CEO of an NGO. Up to now, it was a fantastic journey and I do not regret the step into the charity-business, because it really adds value to me. Was it a more spontaneous decision or did you have something like that in mind for a longer time? Changing the job was spontaneous – but the decision respective the “inner journey” started some years before that. Maybe most concrete when I worked in an agency for one of my clients: an NGO. The people working in this NGO had such a great spirit and conviction but at the same time acted very professional and worked hard. That combination really impressed me even more, knowing that they did not even get payed a high salary – so something beyond money was valuable for them. What is Opportunity International Deutschland? What are their aims? Long story short: Opportunity International Deutschland helps to create jobs and income for poor but motivated people in developing countries. For that, we use the method of “social micro finance” in combination with support via trainings and consulting. 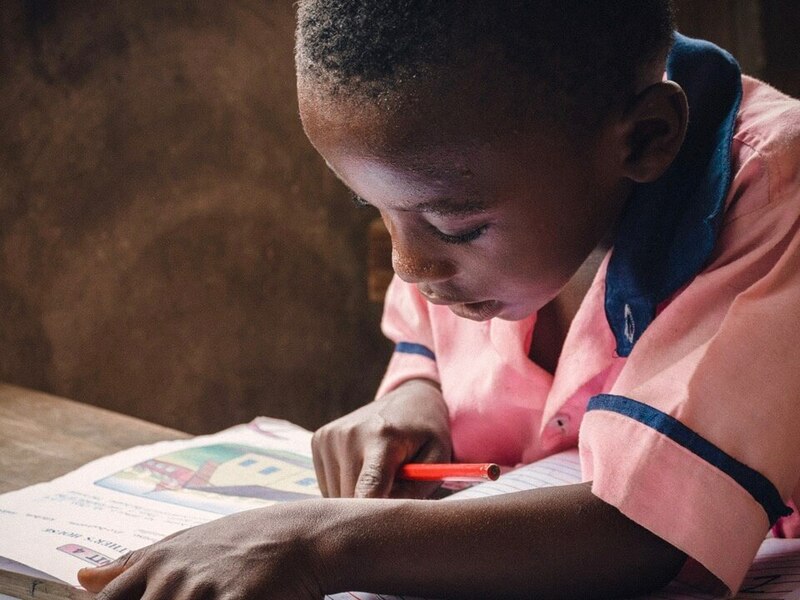 Our aim always is that the people in developing countries (we call them “clients” not “beneficiaries”) can make their own living by working and having an income – so they become independent from aid. 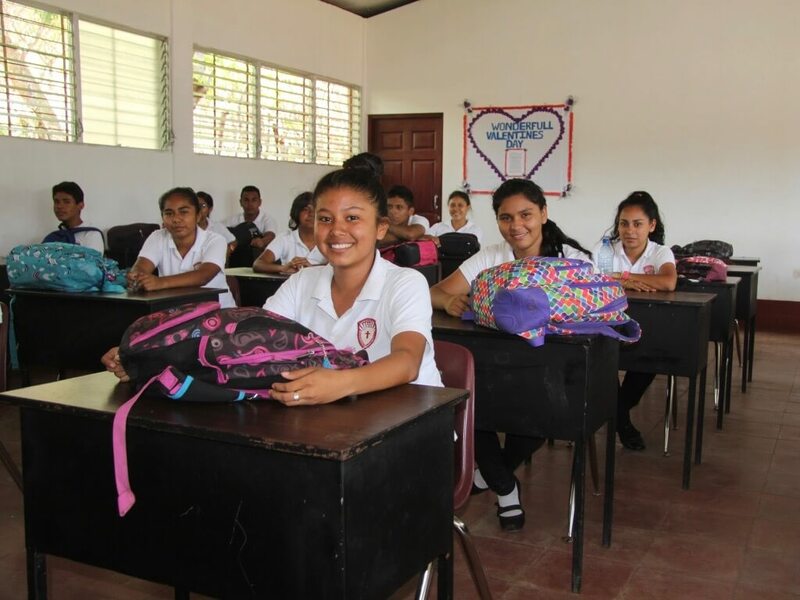 We work very closely with partner-organisations in the respective countries, develop projects together and finance the conduction of projects through donations we collect here in Germany. What is your role in Opportunity International Deutschland exactly? By being the CEO of a small NGO, I am involved in almost everything – of course in collaboration with my colleagues. Starting with the management of our office and the staff, developing the overall strategy and participating in the program-strategy, representing the organisation at events and holding speeches, once in a while I need to travel to the project-countries and last but not least I´m working as a fundraiser. How helpful is your previous career for your new work? In the advertising business you learn how to be well organised, you have to hold presentations quite often and you need to have the ability to “tell a story short and interesting” – this all was a great training for my work in the charity business. And of course, an NGO needs to advertise and communicate as well, here the job in an NGO does not differentiate from the job in an agency. You started some months ago. What’s the biggest difference between your advertising job and your new work? In the agency I was a specialist, as the CEO of an NGO I’m more of a generalist. But the biggest difference is not “what I’m doing” it is more “why I’m doing it”. As mentioned, I travel 2-3 times a year to our projects in developing countries as e.g. Ghana or Uganda. Looking into the eyes of our clients and seeing the hope for a better future we give them, seeing the dignity that they get back because they have a job and are independent from aid, can send their children to school etc. – that gives me energy for weeks and months and that’s why I´m doing this job. Can you describe one typical project of Opportunity International Deutschland? 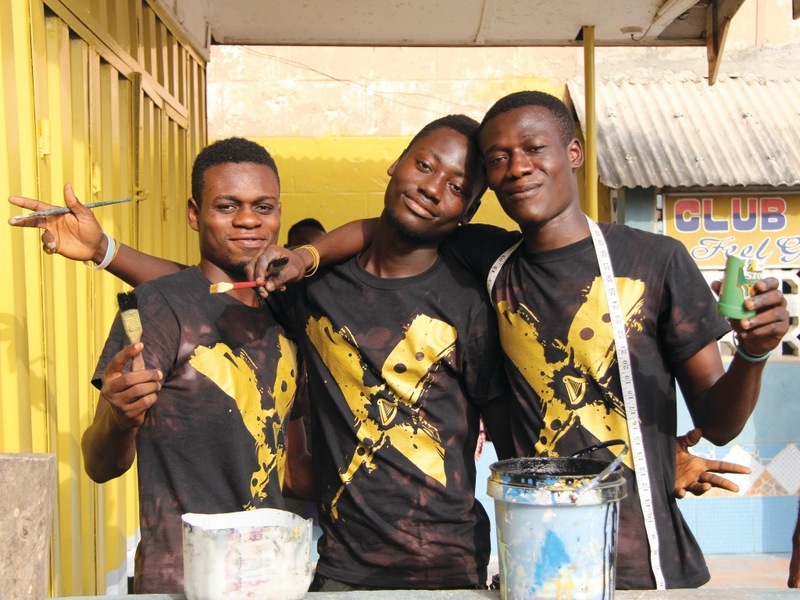 The YAP-Project – Young Apprenticeship Program - in Ghana. 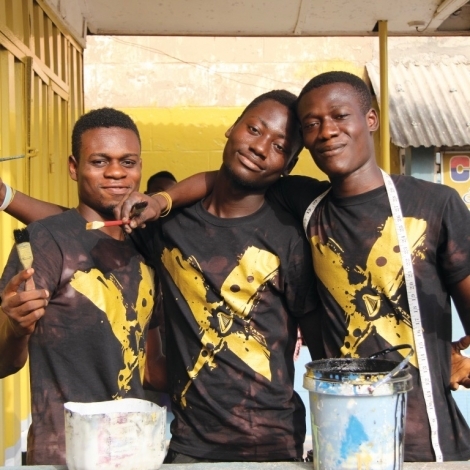 Here we offer young people in Ghana, age 16 – 24, who do not have a decent education, not have a job, income or perspective to join in on a skilled training to learn how to become a mechanic, tailor, cook etc. The training takes over three years and we cover the costs and provide the young people with health insurance, most of them have never had one before. This program is officially acknowledged by the government of Ghana and at the end of the training the young people have an exam and receive an official certification. Then we offer them a micro-credit with no interest rate, so they can start their own small business. If somebody likes to support Opportunity International Deutschland. How is that possible? To be straight, the best way to support our work is a donation. We need financial resources to conduct our projects. Our entire work is financed via donations. You work a lot, but what do you do in your spare time? I try to spend as much time as possible with my wife and my little daughter. If time is left, I like to do sports and meet with my old buddies – once in a while I also do visit cultural events as concerts and exhibitions. But to be honest, sometimes I also like to simply do nothing. You live and work in Cologne. Is Cologne your preferred city in Germany? I was born in Cologne and do see it as my home-base. My family and friends live here. I spend some years in other cities like Frankfurt, Düsseldorf and Berlin – I liked to live in other cities but I always came home after a while – and my home is Cologne. Which places, stores, restaurants, bars or anything else would you recommend if friends would visit Cologne for the first time? I like Café Franck. This café has a very nice and interesting interior mixture of old- and modern-fashion and the cakes are fantastic. One of my preferred restaurants is the Lütticher–great food and very friendly people. Still the place to be is the Café Schmitz– hip and cool for some years now.